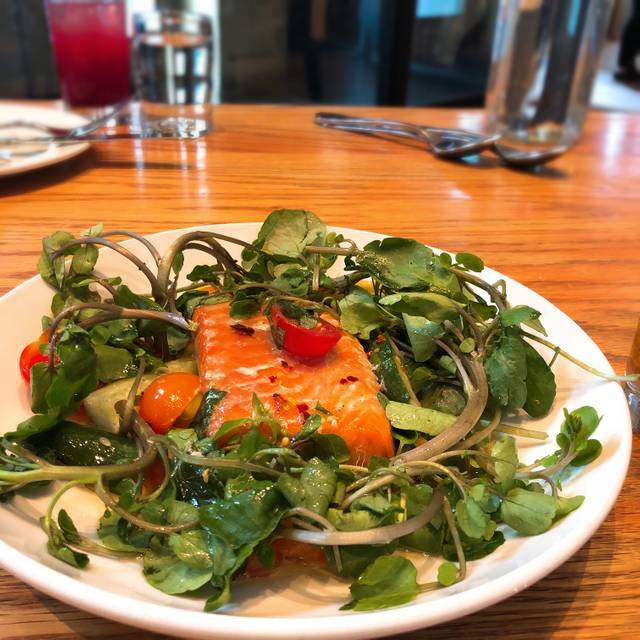 Celebrating the here and now, Nightingale delivers fresh and vibrant modern Canadian cuisine that’s designed for the way people want to eat today. Fresh vegetables and creative proteins are offered in a range of share plates that contribute to the fun, convivial atmosphere of the industrial-chic space. Located in a heritage building in the heart of downtown Vancouver, Nightingale’s buzzing dining room is anchored by a focal bar that complements the compelling flavour profiles of the food with a rotating cocktail on tap, an approachable wine list and a range of local craft beers. 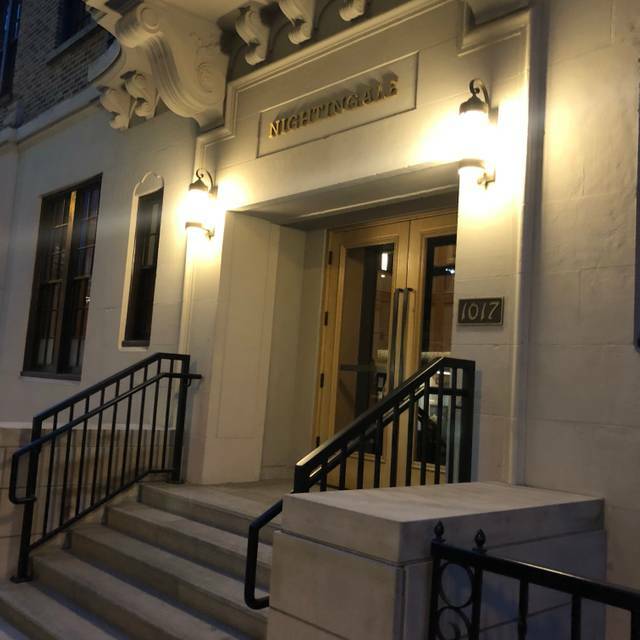 From cocktail receptions to illustrious galas, Hawksworth Restaurant Group's mandate is to deliver the absolute best contemporary Canadian cuisine, simply anywhere. In addition to private dining on-site, Hawksworth Restaurant Group provides off-site catering at the location of your choice. For more information on off-site catering, please contact Edward Vint. We were upstairs and it was bit hard to hear the my friends talking. An absolute lovely experience ! Best vege plates in Vancouver. Expensive but well worth it! I went to dinner with my sister and brother in law when I was in town and I'd highly recommend Nightingale. The atmosphere was vibrant and posh but fun and had a great energy. We had a variety of shared dishes which were all delicious. The wine stewardess was super helpful and knowledgeable. Our second time eating here, with friends and again it was not a let down! We went on a Wednesday night around 5:30. If you’re wanting a romantic and quieter ambiance thats the perfect time to go. Around 6/6:30 it started to pick up and get louder. Their menu is created in a way that encourages plate sharing, like a bunch of appetizers for everyone to enjoy. I can’t have dairy and they don’t have a separate menu for dairy free items but the server was so nice to highlight all the things I could eat on a menu for me. Normally I’m posed with a lot of difficulty with menus and resistance from servers, so I really appreciated the time she took. We ordered the Brussels sprouts – so yummy! Pork sausage – super flavourful. Pork belly – it was very delicious, but I would recommend this dish to be shared amongst 3-4 people, for just two people it’s very rich. I couldn’t enjoy more than 2 pieces. Cauliflower pesto thing – super over cooked (mushy), I feel like it needed salt and it was supposed to have a lemon flavour to it that was not detectable. We ordered one beer and the total was about $75. Overall, I would recommend this place for a nice date! Vibe is amazing, service was amazing, and food was an 8/10! (Only because the cauliflower was a huge dissappointment.) The price is reasonable for the overall experience you get. If you’re wanting to make reservations for a date make sure to ask for the upstairs area! Some great food with interesting and exciting new ideas about combining foods. I really liked Nightingales and will definitely return when back in town. Definitely a firm favourite in Vancouver! Highly recommended for food, service, atmosphere and experience. We eat here often, and have never been disappointed. I've been to Nightingale twice now and both were excellent! On my last visit, five of us shared a number of dishes: the kanpachi aburi, roasted mushrooms, baked sweet potato, cacio e pepe pizza, buttermilk fried chicken, braised meatballs (got those last two for the second time), grilled pork belly, porcini radiatore, and then the vanilla pannacotta and pb&j ice cream sandwich for dessert. I would recommend any of the dishes we ate but would probably try new things next time because everything on the menu looks SO delicious! 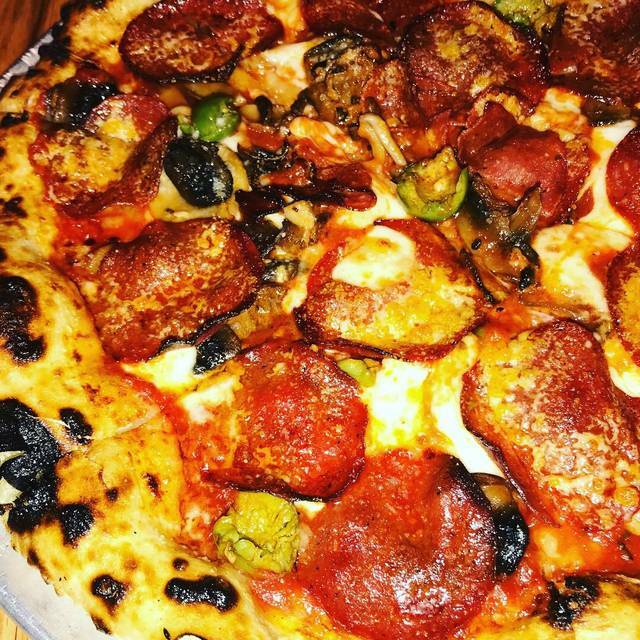 I'd say it was the perfect amount for sharing without feeling overstuffed. Bonus: we were all pretty surprised at how affordable it was when the bills came around! Definitely worth every penny. 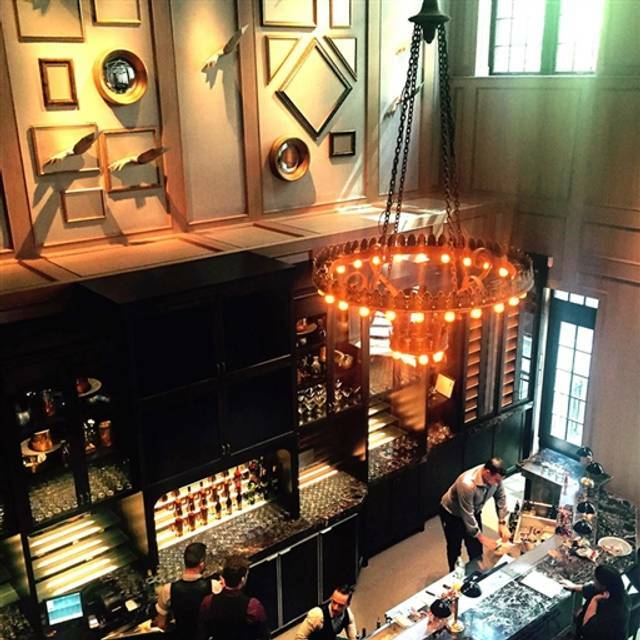 I'd also love to go back to Nightingale for cocktails—they have some cozy-looking couch/lounge areas and a nice bar. Gnocchi was quite salty but everything else was excellent. Food and service were just ok. Have had better dinners here in the past. We went to Nightingale on a Saturday evening. Be aware they start seating upstairs at 5:00 pm so any reservations before that get seated downstairs. We were happy to wait to be moved to the upstairs location where the ambience is so different! It’s lovely! The staff was knowledgeable and friendly about the food. We tried a mushroom vegetable dish that was delicious and we added bread at the suggestion of our server (who was delightful). We had the chickpea small dish which was highly acidic and refreshing. A bit of a palate cleanser and then moved on to the cacio e Pepe pizza which is a favourite of my husbands ever since we got back from Italy this last spring. The cheese was cheap and salty as it should be and it was covered in a nice helping of black pepper-delicious but make sure you’ve got water on hand. We then moved on to the gnocchi which was simple and tasty. I will probably not order this again as I was not a huge fan and there are sooo many other dishes to try. Overall it was a very pleasant experience and we will be back as we live in the neighbourhood. Thanks Nightingale amfor the thoughtfulness you put into your food and service! 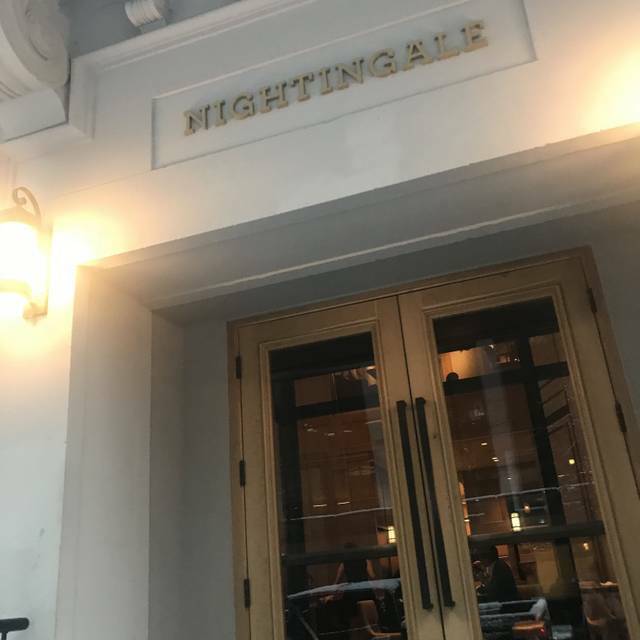 We really enjoyed a recent meal at Nightingale. Two couples dining were able to share 8 dishes and 2 desserts, leaving us comfortably full and satisfied. Each of our choices was outstanding but in particular we enjoyed the clam pasta, gnocchi, and the fried chicken. Our server was lovely, very attentive and knowledgeable without being overbearing. 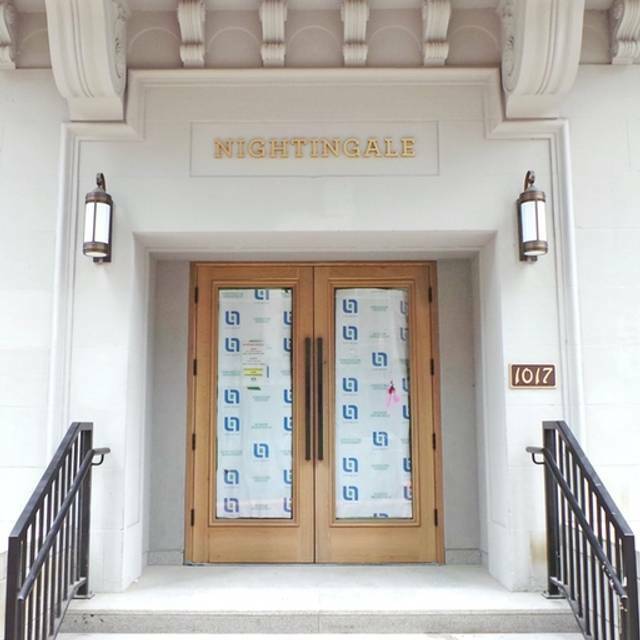 We will be back and I would highly recommend Nightingale to anyone looking for a great evening out. Love the food, always fresh always tasty. My favorite is buttermilk fried chicken that is crispy and non greasy, the potato gnocch is so tasty that you want to have it for desert as well. of course brussel sprout is the must veggie dish and water melon salad is a good refreshing start. Once upstairs, the food, service and atmosphere were absolutely phenomenal. The shared plate experience was incredible. Our server was extremely helpful and made our first visit nearly perfect. We would go back in a heartbeat because of the upstairs experience. However, we arrived early and while waiting for our reservation we sat at the bar and was "greeted" by quite possibly the most unfriendly un-welcoming server. She never said a word to us, smiled or even acknowledged our presence. If it wasn't for a friends recommendation and great reviews, we would have walked out. We don't ask for much when we go to a restaurant but maybe a fake smile and a hello would suffice. The other bartenders were good, host was great, but this one person almost ruined our experience. Hopefully a one off. We booked for our anniversary and were pleasantly surprised that the staff acknowledged the occasion verbally and with a candle in the dessert at the end of the meal. The food was excellent especially the charred arctic char and roasted brussel sprouts. We will definitely be back. Waitress rushed us. We had a reservation at 5pm. At 5:10 ordered drinks. Bought $110 bottle of wine. Pressured via multiple visits by waitress to order food. 5:20 ordered several items of food. I said we may order more food thereafter. Waitress made a show of checking her tablet to see how long we had, then sternly telling us we would need to be out by 7:15. Very welcoming. No notice of this on booking. We had almost 2 hours to go when we mentioned we may order more, and had the waitress inform us we might not be allowed to. Odd behaviour. Never happened to me before ... anywhere. Ate quickly, paid over $200 for our meal, and left. Still a number of empty tables when we hustled out. Will never return. Great flavours and very satisfying. The service was impeccable. Loved the Brussels sprouts, squash and meatballs. Disappointed with the soggy crust pizza. Amazing meal as always. Nearly every dish is great, especially the beets and fried chicken. It was friend’s first time there. 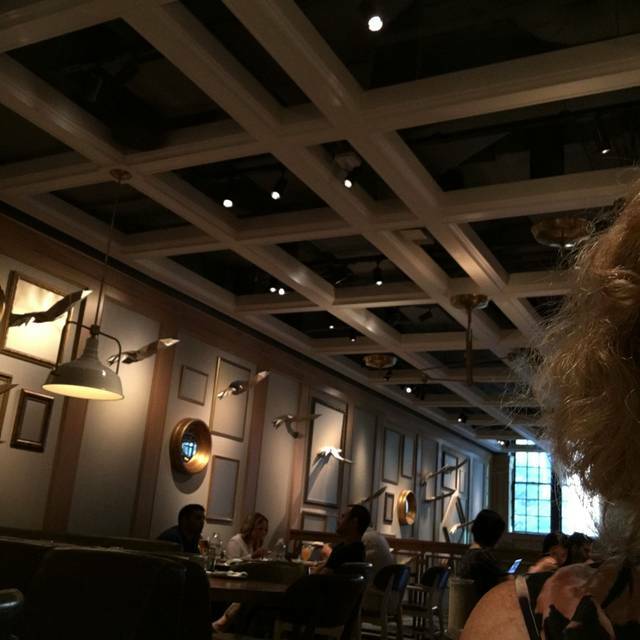 She enjoyed the food, the environment and the service. She was impressed. I love this place. It’s casual, fun, quick and you know what you will get. Been here many times and order the same items; meatballs, cacio e Pepe pizza, kale salad and deep fried chicken. All amazing and consistent every time. Serving staff are pleasant but hostesses are to be desired. They can be a bit snooty a times. Would recommend and definitely will be back as this is my go to lunch, brunch and causal dinner place. We ordered a pizza dish. It took almost one hour to arrive and no one informed us until we had to ask the waiters 2 times about if the dish is still coming. My friend was running late for his meeting and he had to rush to leave. We are disappointed with this lunch. 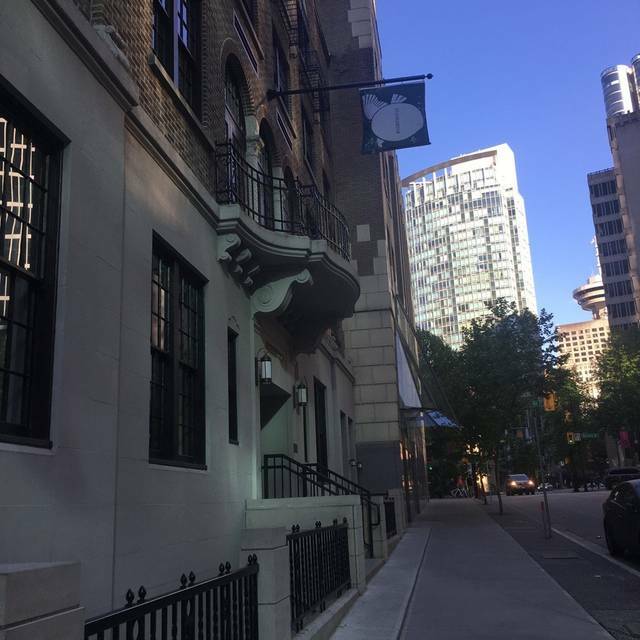 Gem of a place in the heart of Downtown Vancouver! Great atmosphere and delicious food. A foodie must! Excellent and friendly service, delicious food, great ambiance. Will definitely be back. We've had very good experiences here in the past, but not this time. Staff weren't very knowledgeable about the dishes, waited to remove dishes before we were finished, and the bartender was almost rude while we waited. We also couldn't sit upstairs, and don't enjoy the atmosphere on the first floor; it's almost like a different restaurant on the main level. Really delicious, beautifully presented food. 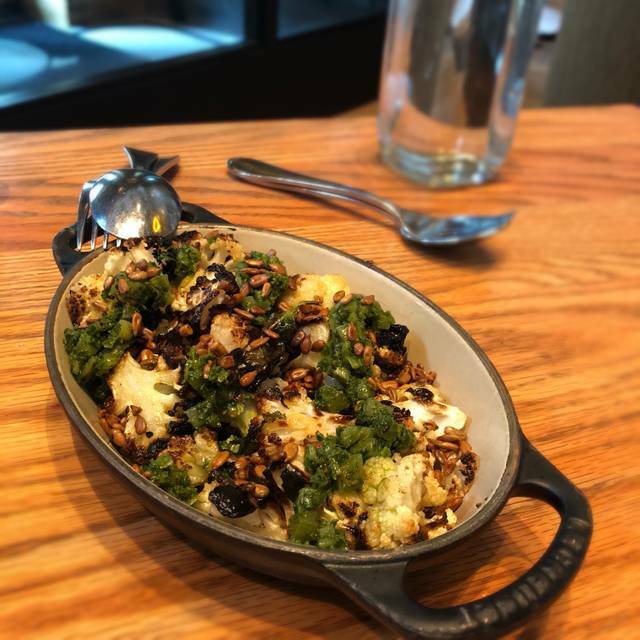 Someone in the kitchen has a way with fall vegetables, not to mention little charred lamb chops, spiced olives, desserts... One of the bartenders is an expert on whiskeys. She had just returned from a trip through Scotland and Ireland, and graciously gave my husband an outstanding overview of smoky Scotch whiskeys after we enjoyed our after-dinner drinks. Comfortable and attractive space (we sat downstairs; will also try upstairs). Worth persevering for a reservation. Everything was really fantastic. The service was great, the cocktail list was creative. All the food was right on. Would definitely go back if I was ever in Vancouver again. Had a great lunch and afternoon visit with my friend whom I haven’t seen for a long time. She’s vegetarian and I am an adventurous foodie. It was very easy to find dishes to share that we both enjoyed. The menu is so vast and filled with delicious items that it’s hard to choose what to order since you want everything! And they switch their menu up seasonably which I love. I like going with larger groups than 2 so we can try more things to share. I love the ambience and the servers were lovely and attentive! We loved everything except found the salad very ordinary. Prefer to be seated upstairs, but it was not open on Sat. Service was slow. Food was tasty. Great restaurant. The food was really good and the service was perfect. My only issue was the noise level was very loud.